See below some of the previous items, orginally featured on the homepage, which you may have missed. Please bear in mind that some of these items might have been overtaken by events. With effect from 21st February, the Clerk to the Council is Emma Tillyard, replacing Debbie Cooke who continues to work for the Council in a different capacity. Click here to contact Emma by email. 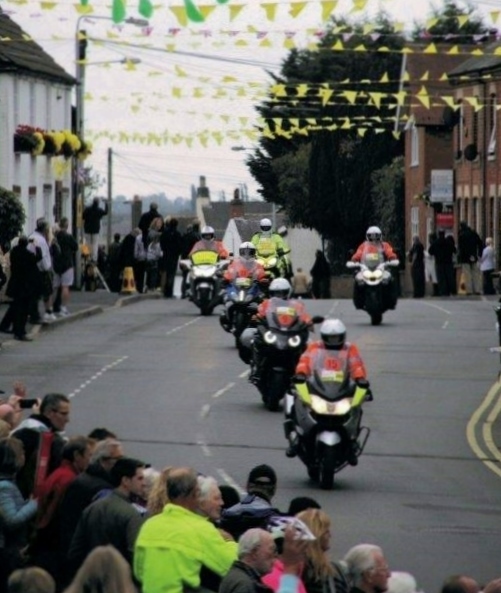 Lots of people turned out to see the Tour of Britain pass through Keyworth on Saturday, 8th September. See pictures below or click here for a Facebook video courtesy of Lorraine Derivan. Many thanks to volunteers from the local Co-op stores who spent time tidying up the village on 25th August, collecting forty bags of weeds and rubbish. We are sure that residents will join us in commending them for their efforts. 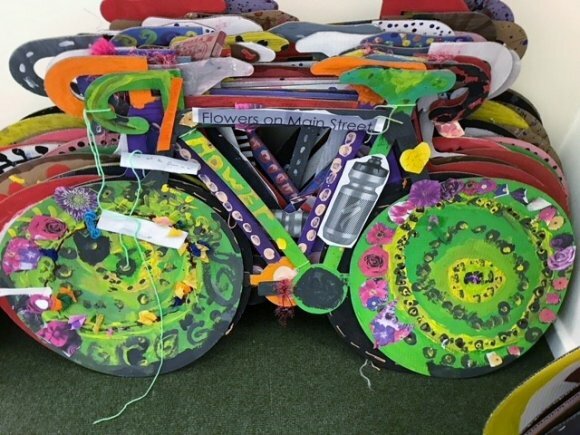 In July, children from Crossdale Primary School, Keyworth Primary & Nursery School and Willow Brook Primary School had fun decorating cardboard bikes in preparation for the Tour of Britain passing through Keyworth on 8th September. 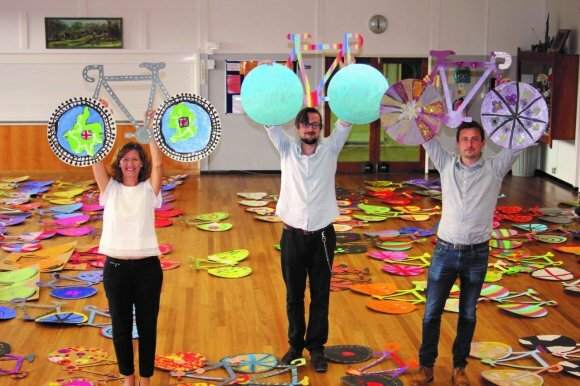 A winner was chosen from each of the three schools, but lots of the bikes have been on display around the village. Congratulations to all concerned! The Council's Finance & Risk committee has agreed increased hire charges for the Village Hall, Centenary Lounge and Feignies Room effective from 1st April 2018. These are the first increases since April 2016. Click here for details of the revised charges. 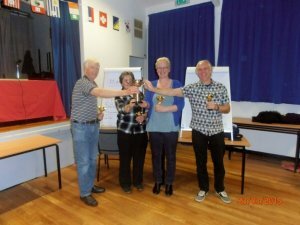 Congratulations to Keyworth Dramatic Society, winners of the 2018 Keyworth Village Quiz. Congratulations also to the the organisers for another highly successful event. Click here for report, photographs, etc. 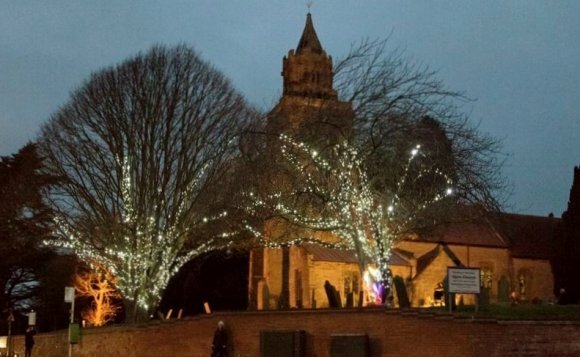 There was a good turnout for the switching on of Keyworth's festive lights on 2nd December and, this year, there are additional lights in the churchyard. The Parish Council was pleased to contribute towards the cost of the event and the new lights, but thanks are also due to Rushcliffe Borough Council and our local Borough Councillors; also the local businesses which, as in previous years, contributed towards the cost of fifty-two Xmas trees with lights at various points around the village. Compliments of the season to all our readers. Congratulations to Caitlin James, age ten, from Keyworth Primary & Nursery School, the winner of our 2017 Christmas card competition. Well done also to the runners up: Jacob Varley (Willow Brook Primary), Dakota Stolworthy (Crossdale Drive Primary) and Jaquille (Busy Bees at Crossdale), and many thanks to everyone else who took part. The Parish Council has approved plans for a peace garden - a place for residents and visitors to reflect on those involved in past and present conflicts - to be located near the Memorial Gates on the Rectory Field. The Council and local Environment Group are now looking to raise funds. For more information, please email Cllr Tamsin Armour. Due to continued vandalism, we have been forced to fence off part of the activity park for safety reasons. It will remain closed until repairs are carried out. These repairs, due to mindless vandalism, will have cost implications for the Parish Council. 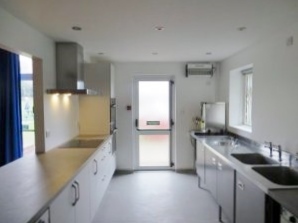 The Village Hall kitchen has undergone a complete refurbishment. Click here to see pictures. We apologise to hirers for any disruption while the work was being carried out, but we hope everyone will agree that the new kitchen is a great improvement. At the annual meeting on 15th May, Cllr Tony Grice was re-elected as chairman but, Cllr Liz Chmara having stood down, Cllr Tamsin Armour was elected as the new vice-chair. With effect from 1st May, Debbie Cooke has taken over as Clerk to the Council. Her predecessor, Neil Grocock, is now Finance Officer, continuing to deal with financial matters which previously fell within the remit of the Clerk. Click here for further details of Council staff, including contact details. 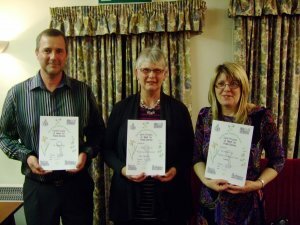 It was a close thing, but South Wolds Staff triumphed on finals night. Click here for details. Following the retirement of Brian Cullen, the Parish Council has appointed a new Facilities Manager, Steve Mottishaw, to oversee the maintenance of the Village Hall Complex, the Rectory Field including the Activity Park, Wysall Lane Burial Ground, Platt Lane Skatepark and Nottingham Road Play Area. Any comments or queries regarding the upkeep of these facilities should be addressed to Steve at the Council Office (email steve@keyworthparishcouncil.org). At a meeting on 3rd October, the Parish Council's Facilities committee agreed that there should be no change in hire charges for the Village Hall, Centenary Lounge or Feignies Room in 2017/18 (1.4.17 to 31.3.18). Fees will accordingly remain the same as for 2016/17. Click here for further details. Activity Park in full swing! The new Activity Park on the Rectory Field, officially opened on 13th August (click here for details), was given a thorough try-out by these youngsters. Click here to see how they got on. At the Annual Parish Council meeting on 16th May, Cllr Tony Grice was re-elected as chairman. Cllr Liz Chmara was re-elected as vice chairman. 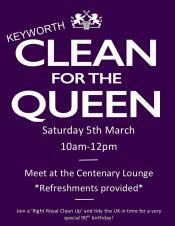 Thanks very much to everyone who participated in the Clean for the Queen initiative on Saturday, 5th March. 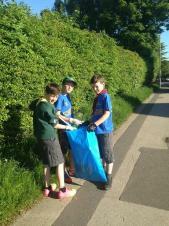 There were some 30 litter pickers, and 36 bags of litter were collected. Refreshments in the Centenary Lounge were well deserved and much appreciated. Keyworth Quiz - Willow Brook triumph again! Audience of one hundred plus sees school team win for third time in four years. Congratulations to Willow Brook School, winners of the Keyworth Quiz for the third time in four years. Click here for more details. Congratulations also, and many thanks, to the organisers who, yet again, have made the quiz such a resounding success. It's the Queen's 90th birthday this year, and there's a national campaign called Clean for the Queen to tidy up Britain. This is an ideal opportunity to have a community litter pick and make Keyworth the envy of South Notts. Everyone's invited, including schools, families, local groups...anyone who wants to spruce up the village. Please contact Cllr Tamsin Armour if you'd like to know more. The Parish Council will be providing tea, coffee, biscuits, etc. The more the merrier, so please spread the word! With effect from 25th January, the Parish Council has co-opted a new member, Shelley Millband, to fill the vacancy outstanding since the elections in May 2015. Click here for more about Shelley or here for details of all Keyworth Councillors. As reported in July (click here), the Parish Council has offered to lease land and buildings formerly leased to Keyworth Playing Fields Association to the clubs which use them. 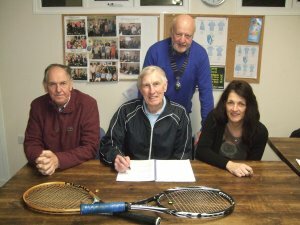 The first club to take advantage of this was Keyworth Tennis Club, and the lease of the courts and clubhouse has now been signed. Council chairman Tony Grice is pictured, looking on as Eugene O'Connor, John Stansfield and Maxine Barklett attend to formalities. Congratulations to Keira Cullis, aged eight, winner of the Parish Council's 2015 Christmas Card Competition. 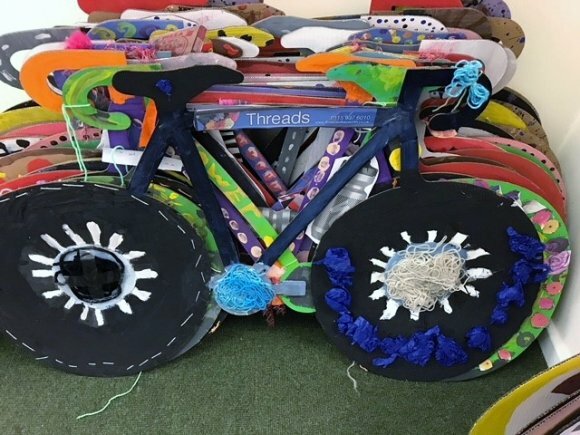 There were more than a hundred entries from Keira and her fellow pupils at Willow Brook Primary School, and also from Keyworth Primary School and Crossdale Busy Bees. Many thanks to all concerned. 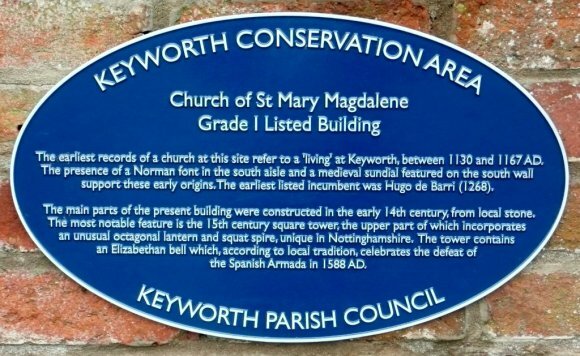 A new plaque (below), commissioned by the Keyworth Conservation Area Advisory Group and financed by the Parish Council, has been placed outside St Mary Magdalene Parish Church (Grade1 listed building). Click here for details of all plaques and heritage boards. Keyworth skaters saw off stiff competition from Lady Bay to win a tournament at Platt Lane Skatepark on Sunday, 28th June. It was great to see the local facilities packed with skaters and supporters. Thanks to Forty Two skateshop for organising and Jason for the picture. At the Annual Parish Council meeting on 18th May, it was agreed that: the Parish Council should henceforth act as the 'umbrella' organisation for this project; a working party, comprising Cllrs Tamsin Armour, Tom Caven-Atack, Kath Oakley, Chris Pride, Dan Sleeman and Martin Valentine, should be set up to move the project forward; and that a Sport England grant application should be submitted on the Council's behalf. Watch this space for news of further developments. For background details, turn to Page 2. Following the recent election (see below), Cllr Tony Grice (left) was re-elected as chairman of the Parish Council at the Annual Parish Council meeting on 18th May. Cllr Liz Chmara was re-elected as vice chairman. With lots of new Councillors, the Council also reviewed its committees and working parties. Click here for details of who's on what. Following the elections on May 7th, Keyworth has several new Parish and Borough Councillors. Click here (then scroll down) to find details of the uncontested Parish Council election in the North Ward, here to find the results for the South Ward, and here for Borough Council results. 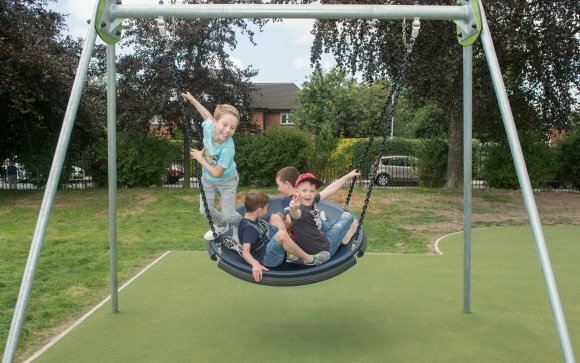 Recently, the Nottingham Road Play Area was refurbished with some new play equipment added. 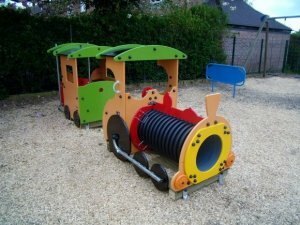 This was made possible by a group of mums who, having decided the playground needed upgrading, formed themselves into a group to raise money for the upgrade. After a lot of hard work fundraising, they raised nearly £15,000 which enabled us to carry out the refurbishment. I cannot praise these ladies enough for their community spirit, hard work and determination in raising the money and getting the equipment installed. Thank you, Charlotte Mills, Chloe Williams, Shelley Millband, Emma Piper, Samantha Kaye, and Bayan Diab. Over the last few years, the Parish Council and local residents have had noise and nuisance problems during afternoons, late evening and early hours at the turning circle on the Rectory field near the Centenary Lounge; the Police have attended numerous times, but the problem still persists; it has been so bad that one of the local residents felt the need to move away. We have also had problems with people driving cars on the field, churning up the grass. In an effort to solve these incidents of anti-social behaviour, the Parish Council has decided to erect discreet fencing all along the Elm Avenue side of the Rectory field, ending just short of the turning circle; a locked barrier gate will then prevent access to the turning circle. Users of the Village Hall complex will still be able to turn vehicles using the original turning point at the side of the Centenary Lounge. Note: the fencing would incorporate sections which could be removed when necessary, e.g. for the Keyworth Show. 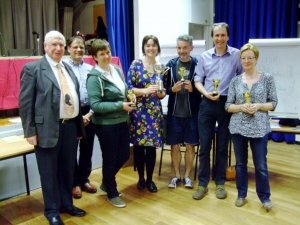 The 40th Keyworth Quiz ended after seven weeks, twenty-seven matches and over 1500 questions, with Keyworth Allotments beating Keyworth Primary and Nursery School in the first ever final to go to play-off questions and a sudden death final question. Click here for further details. Congratulations to the allotments team, and also to the organisers for once again making this annual event such a resounding success. On Thursday, 12th February, Borough Councillor Sam Boote and myself met with officials of the National Westminster Bank to try and persuade them that the Bank in Keyworth should remain open; despite making numerous suggestions, we were unsuccessful and the bank will close as notified in March. Congratulations to Derek Gee, awarded an MBE in the New Years Honours List for services to business, charity and the community. Among his many activities, Derek has been a mainstay of Keyworth & District Community Concern for many years. Congratulations to Faye Baines, aged nine, winner of the Council's 2014 Christmas card competition. As usual, there were lots of entries, from Faye's fellow pupils at Keyworth Primary & Nursery School, Crossdale Drive Primary School, Crossdale Busy Bees and Willowbrook Primary School. Many thanks to all concerned. Many of you may not know that Wilford Hill cemetery has recently closed for burials, because it is full. 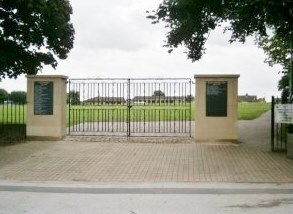 The planned replacement cemetery is located at the other side of Bulwell, and is not yet open. Because of this, other local Councils have placed restrictions on who can be buried in their cemeteries, to preserve them for local use. Under these circumstances, we too have reluctantly had to place restrictions on who is eligible to be interred at Wysall Lane Burial Ground. 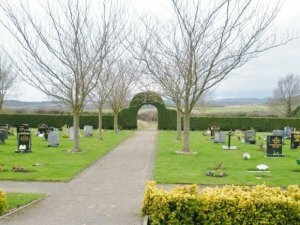 We know that this is a very sensitive subject, and have tried to come up with what we think is a fair policy to preserve our Burial Ground for those local people who wish to use it; the amended regulations can be found on our website (click on the above link) or obtained from the Parish Council office. 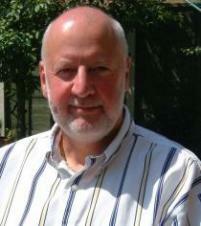 Tony Grice, Parish Council chairman. 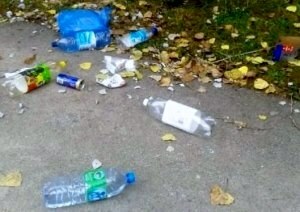 The Parish Council is receiving increased complaints about litter in the village. Streetwise do a good job in collecting litter, but they cannot be around all of the time; likewise, the Parish Council pays for litter collection three times a week on the Rectory Field, and also litter collection at the Skatepark. There are also numerous 'litter picks' by various organisations in the village, to whom we all owe a vote of thanks for their sterling work. However, the main problem is that litter is there in the first place. I am sure you will all agree that Keyworth is a great place to live; so why mess it up? I ask you, please put litter in the many bins in the village, or take it home with you...and perhaps you parents could stress the point with your children! Also, please don't forget to report litter to the Borough Council...click here to 'do it online', or call in at the Borough Council contact point (Friday mornings - see below). Let's all please do our bit in keeping Keyworth tidy. 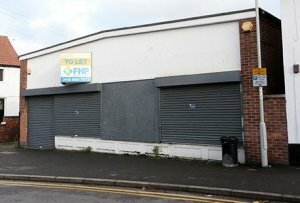 Keyworth Parish Council is actively working with Rushcliffe Borough Council to resolve the problem of the empty Co-op building in the square; numerous ideas are being explored after a change of property manager at the Co-op. We are therefore asking residents for their ideas for use of the building and/or the land. Please let us know your ideas either by email or letter. These can then be put to the Co-op to give an idea of local feeling in case current negotiations fail. N.B. We cannot undertake to respond to individual letters or emails about this issue, but please rest assured that all ideas submitted will be taken into account. Work on a mains gas installation, new heating system and improved insulation for the Village Hall complex is now complete. We apologise for any inconvenience or disruption while this work was underway, but hope that everyone will appreciate the need for the project and the long term benefits. Click here to see previous items. Want to know more about the Village Hall? Want to hire the Village Hall, Centenary Lounge of Feignies Room? Click here for hire charges and other information. Click here for photographs of the premises. Congratulations to the Keyworth Community Park Project which has just landed a £9811 Awards for All grant. We understand that a total of £12968 has now been raised towards the target of £19214 required to make improvements at Nottingham Road Play Area. 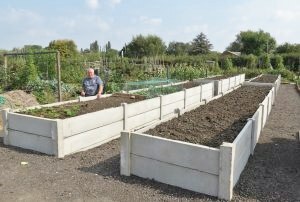 The Charity Allotments Trust has provided raised beds, specifically for use by the disabled, at the allotments on Selby Lane, and one of the first people to try them out was Cllr Brian Watts. Click here for more photographs. We congratulate all concerned on this admirable initiative. 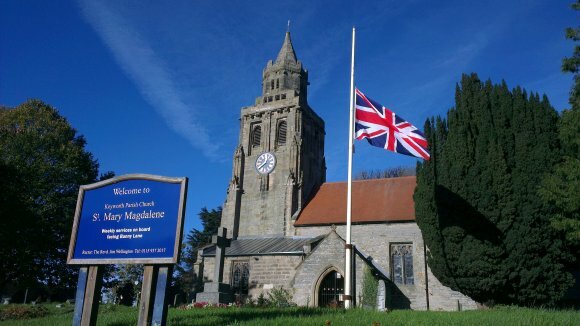 Once again, the Parish Council has arranged for hanging baskets to brighten up the village during the summer months. Thanks are due to the various businesses which have agreed to make a contribution towards the cost. There are seventy-nine baskets in total at various locations around Keyworth, and these will be kept watered throughout June, July and August. Let's hope that we get plenty sunny weather to make the summer scene complete. With the First World War Centenary approaching, Keyworth & District Royal British Legion organised a ceremony to dedicate the recently renovated Memorial Gates on Saturday, 3rd May. Following the ceremony, there was a march-past by standard bearers and cadets representing all three services, and a salute was taken by the Lord-Lieutenant of Nottinghamshire. At the Annual Parish Council meeting on 12th May, Cllr Tony Grice was re-elected as Council chairman and Cllr Liz Chmara was re-elected as vice chairman. The Council also reviewed its committees and working parties, and its representatives on external bodies, and fixed the dates for meetings in 2014/15. Click here for details of who's who, and who does what, and here for meeting dates. Revised fees for hiring the Village Hall, Centenary Lounge and Feignies Room came into effect from 1st April 2014. Click here for revised charges, conditions of hire and other information. 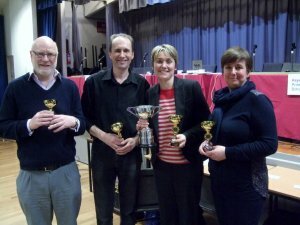 Congratulations to Willow Brook School, Village Quiz champions for the second year running, and well done U3A, runners up in the Grand Final, in front of an audience or around 140, at the Village Hall on Monday, 24th March. Click here for reports and photographs or here for results summary. Note: the Village Quiz will be back in 2015 (its 40th year), so make a note in your diary! Following a reduction in the transitional grant it receives from Rushcliffe Borough Council, the Parish Council has decided to increase its 2014/15 precept, and this will mean an increase of 63p (for the year) in the Parish Council portion of the council tax for a Band D property. The Parish Council was able to avoid any increase in the Parish council tax over the five previous years, but changes in government policy meant that it could only do so in 2013/14 by substantially reducing the precept. 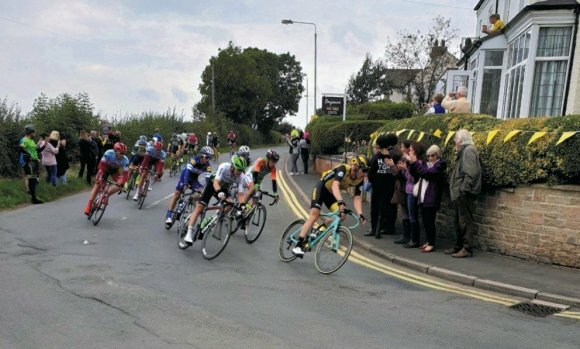 That was possible thanks to a transitional grant from the Borough Council, but the Borough Council has reduced the grant for 2014/15, and further reductions are expected in years to come. In the circumstances, the Parish Council considers that modest precept increases in the short term would be prudent rather than running the risk of having to make larger increases at some time in the future. Click here for a message from the Council chairman. Yes, all being well, he'll be popping in at the Charities' Christmas event at the Village Hall on Saturday, 7th December. Litter - thank you, Cubs! 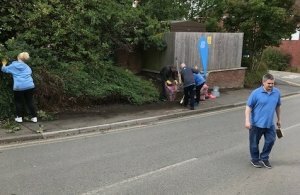 Many thanks to members of 1st Keyworth Cubs B Pack who recently did some litter picking around the Square, the Parade, the Rectory Field and Church Drive; click here for more pictures. Keyworth no longer has a dedicated street cleaner, and we can't expect volunteers to do all the work, so please be sure to let Rushcliffe Borough Council know about any problems with litter. Click here to report a litter problem online or here to request street cleaning. Alternatively, report problems by telephone: 0115 9819911. 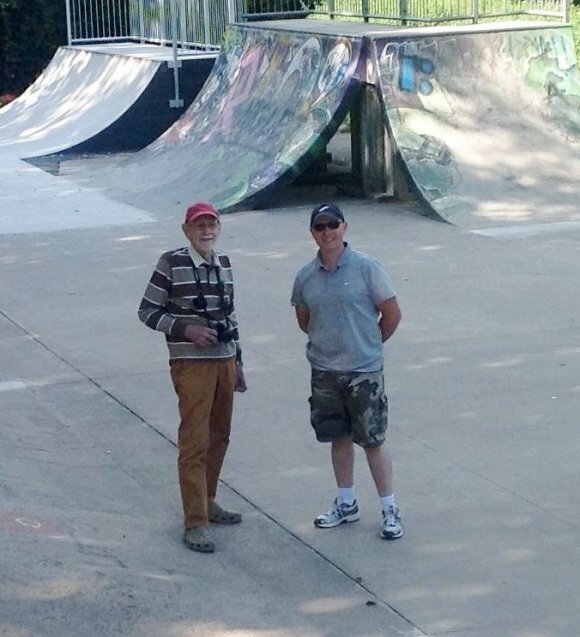 The skatepark on Platt Lane, on land leased by the Parish Council from the Natural Environment Research Council, has been refurbished and much improved by Nottinghamshire County Council as part of its 2013/14 Local Improvement Scheme (LIS) programme. Click here to see how it looks now. 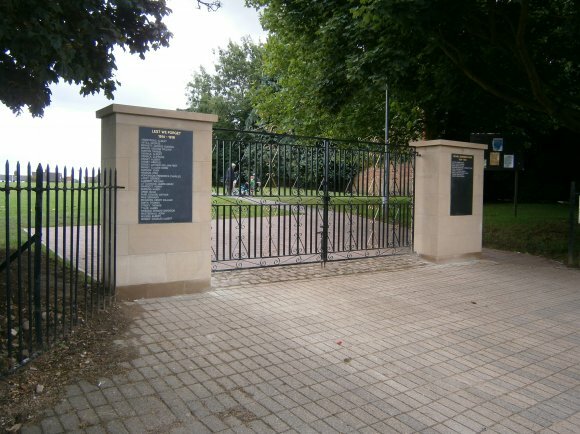 The Memorial Gates on Nottingham Road have been renovated, the work financed by a Local Improvement Scheme grant from Notts County Council. Click here to see the names recorded on the new stone pillars, or here for more photographs. Wright's Garage site, Selby Lane: eleven houses/three flats; click here for more details - no objection by Parish Council. Willow Brook: up to thirty-five dwellings; click here for more details - objection by the Parish Council. Land north-west of Platt Lane: up to two hundred houses; click here for more details - objection by the Parish Council. Click here for the minutes of the meetings. It's important to bear in mind that Rushcliffe Borough Council has the final say on Keyworth planning applications, and anyone affected can comment online - click here for the relevant link. Also at the meeting on 13th May, the Council fixed the dates of meetings for the coming year. Click here for details. It's not long since Keyworth paid tribute to gymnast Sam Oldham for his exploits at London 2012 (click here for details), and now he's won a silver medal at the European Gymnastics Championships in Moscow. Click here for more details and here for photographs. 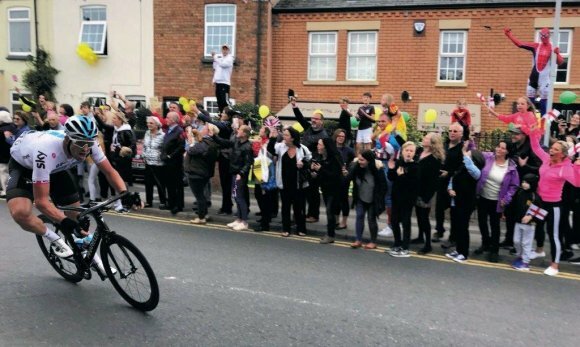 We are sure that Keyworth residents would want to join us once again in saying well done, Sam! In order to rectify any misunderstandings, we should like to make it clear that the exhibition staged by Miller Homes on 25th March, outlining draft proposals for new homes at Platt Lane, was not a Parish Council event. It should also be borne in mind that, at the time of writing, no planning application has been submitted. And the winners are...Willow Brook School! Congratulations to the Willow Brook School team...2013 champions! Congratulations also to the organisers of the quiz for staging yet another very successful, very entertaining event. ...and, this year, there was even a touch of 'Strictly'!! Robert Clegg (Keyworth United CFC) - "a prime mover in bringing the football facilities at Platt Lane up to their current excellent standard". 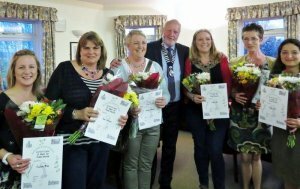 Sue Calladine (chairman for two years and previously treasurer) and the Keyworth Show Committee - "who have put in a lot of hard work to make the Keyworth Show such a success". Jane Jones on behalf of Alan Cooper and the Horticultural Show Committee - "for giving up lots of their time to make Keyworth Horticultural Show a success". We are sure that many residents would wish to join us in thanking all of the above for their efforts on behalf of the community. At its meeting on 4th February, the Parish Council agreed its budget for 2013/14, and the good news is that it's been able to avoid any increase in the Parish Council portion of the council tax (£64.73 – approximately £1.25 per week – for a Band D property) for the fifth successive year. However, as a result of changes in government policy, this could only be achieved by means of a substantial reduction in the precept (the amount the Parish Council claims from the Borough Council to cover its budget requirement), and this might not have been possible had it not been for a transitional grant from the Borough Council which covered most of the shortfall (click here for background details). Unfortunately, it seems that there is no guarantee of further grants of this nature from the Borough Council, and this means that increases may be unavoidable in future years. XHTML 1.0 validated. WCAG compliant. Page generated in 0.1725 seconds.